7.5" x 9.5" stitched on 14 count. 5.8" x 7.4" stitched on 18 count. 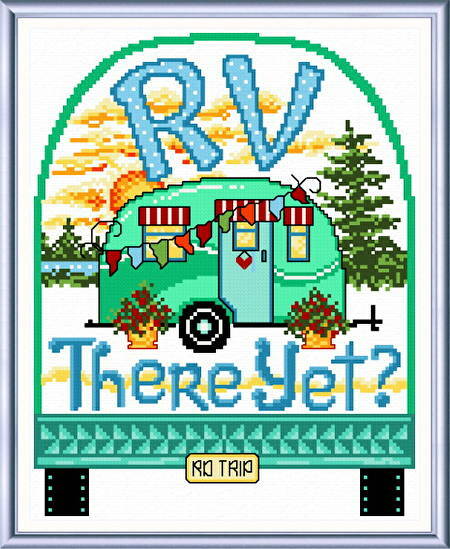 RV There Yet cross stitch pattern... Anyone who has taken the family on a road trip knows what this is all about.